It’s hard to suppress a big stupid grin watching Chris Pratt zip through the jungle on a motorcycle with his A-team of Velociraptors. 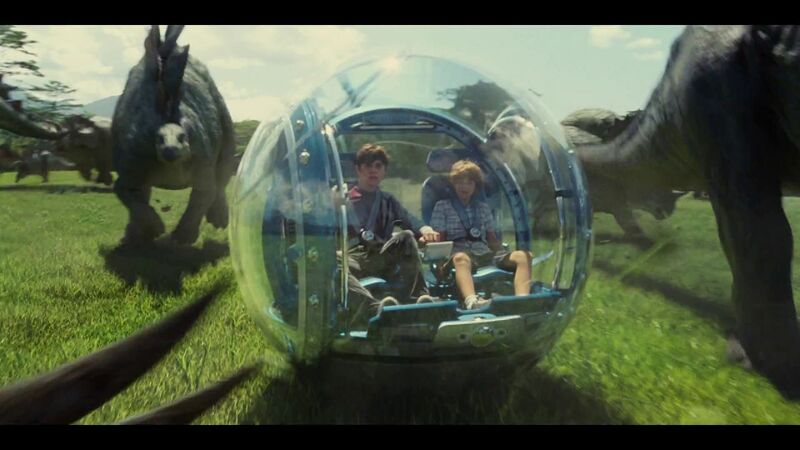 The computer-generated dinosaurs of Jurassic World (* * * out of four; rated PG-13; opens Friday) are just as cool as they were 22 years ago in Jurassic Park — but it takes the equivalent of a Stone Age to actually get to the exciting parts in this fourth installment in Steven Spielberg’s giant-reptile franchise. World is a monster step up from the two disappointing previous sequels, but is sorely missing the heart and inherent wonder of the classic first film. A behavioral researcher from the Navy, Owen Grady (Pratt), is seemingly the only person who thinks the Indominus is kind of a bad idea, and his worst fears are met when she gets loose and starts tearing up the joint, putting 20,000 park visitors in harm’s way. Pratt is again another roguish action hero, though this one’s much more lacking in that mold than his Guardians of the Galaxy character. Howard is the requisite love interest, the Leia to his Han, but Pratt winds up having better chemistry with Owen’s raptor posse. Trevorrow has taken the baton from Spielberg but runs the same all over again at a more controlled diet. The format is the same. 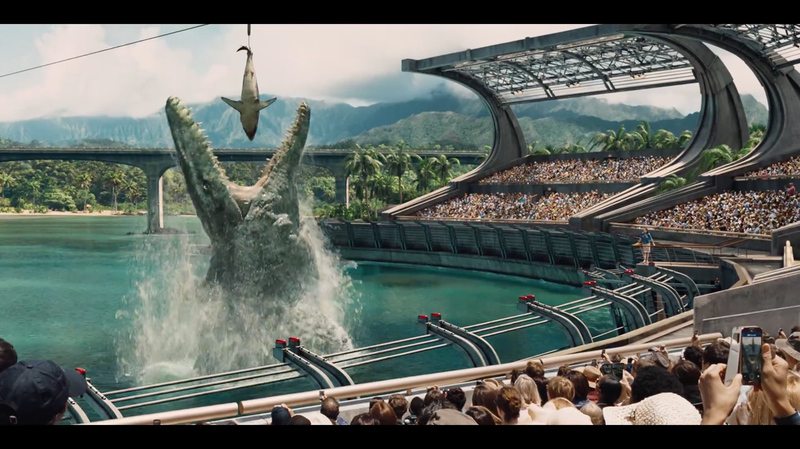 Instead of T-Rex we have Indominus Rex, named thus because it could be easily spelt by kids. Perhaps they mean Indian kids. As expected it goes berserk and since we are not told about its genetic combination, it could do anything. However, the limited budget ensures that we get to see it only a couple of times in full size before the climax. And it seems not too different from T-Rex. Perhaps it has a bigger mouth cavity. True to Spielberg’s school, the film has an emotional anchor, where two kids Zach (Nick) and Grey (Ty Simpkins) come to spend time with their young aunt Clara (Bryce), who administers the park. Clara is a career-oriented girl who has little time for relationships. She ignores the kids and they come in the way of Indominus. Yes, the beast brings the humans together as Clara joins hands with her ex-boyfriend Owen (Chris) — a dinosaur trainer — the only man on the park who sees them as living beings. Human greed continues to be the narrative’s underpinning. And those who are new to the party will like it. The film suggests that monstrosity is relative. For a sparrow, a cat is a monster. Here a former army man Hoskins (Onforio) wants to turn them mercenaries in the war against terror. However, along the way you figure out that the film suffers from similar corporate excess that it suggests to guard against. It tries to bring the suspecting audience to its side by making fun of its inherent intentions. Clara asks an employee to take off the T-shirt which advertises the previous version of the Park indicating that behind that cool façade there is a danger for playing with the nature. However, as the film progresses Hoskins turns out to be a cheesy trope from a B-movie. So is Clara, whose outfits keep getting shorter as she moves from cold and calculated to a warm-blooded living thing. By the climax she develops a huge slit in her skirt! Zach and Grey seldom seem in the danger of being gobbled up. The stunts remind of the previous versions. There is very little surprise left in the moves of Rex. It takes off the car you use to hide behind to show your worth against nature. 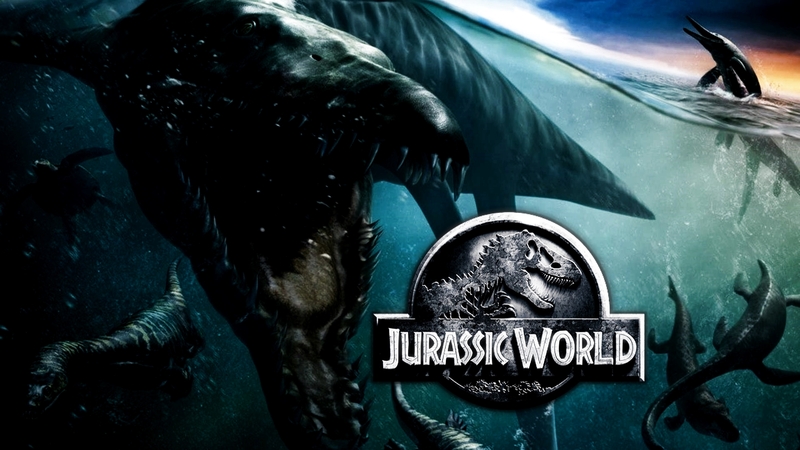 Try it as a tribute to the original and you don’t mind it, else put on the DVD and try to outpace Tyrannosaurus. It may have less teeth but its bite endures.